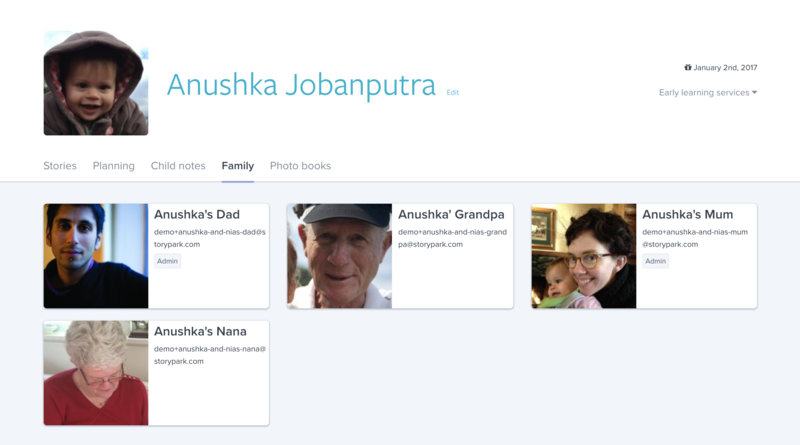 Each child has their own profile page where you can view and edit their details, view their stories and notes, and see which family members also have access. You can also see their birthday and the early learning services they are part of. In this view, stories appear as ‘tiles’ (rather than in a stream as on the ‘Latest Activity’ or ‘home’ page). Each tile shows a heading (if there is one), up to four images or videos within the story and the first few lines of text. At the bottom of each tile you can see who added the story and when, how many time it’s been viewed by family members, and how many comments it has. You can change the order of the stories you see by clicking the ‘Order by’ drop-down. ‘Recent activity’ shows stories with new comments first. ‘Story date’ shows the newest stories first. 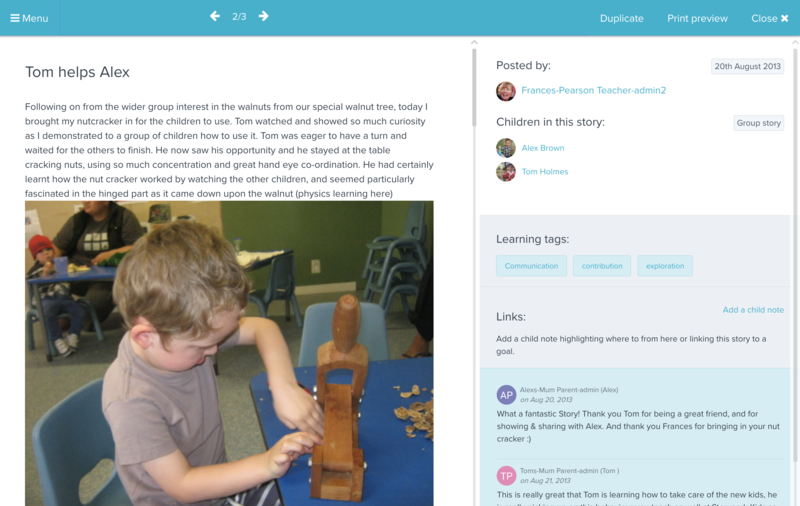 You can also filter the stories by the learning tags in them. Click anywhere on a story tile and the full story will open in a box within this page. Scroll down to read the full story. From this view you can see which children are in the story, the author, date added, learning tags and any comments that have been made. Authors and admins can edit the story, and print it with various print options. Navigate to the next story using the arrows at the top, or close the window to go back to the snapshot view. 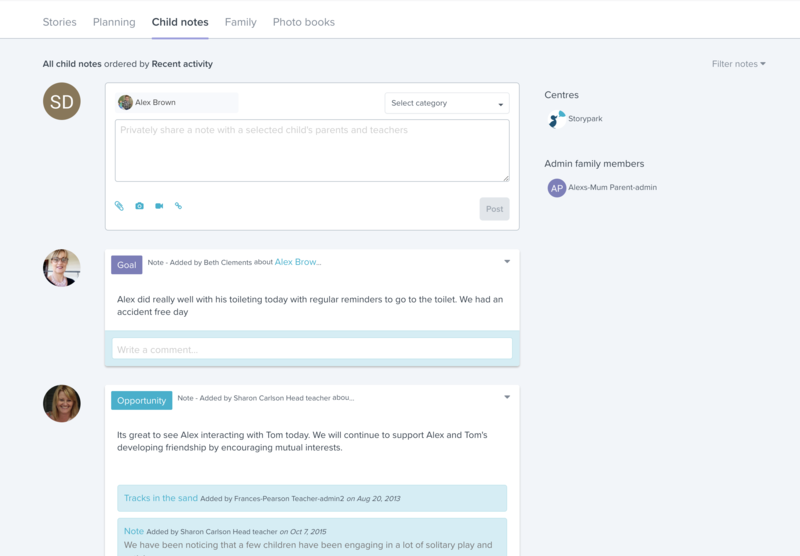 Child notes work in a similar way to community posts, but instead of being shared with the whole Storypark community, they’re only shared with the teachers and family member admins shown to the right of this page. This space is generally used for teachers and parents to share information privately about a child. sharing files and resources with the child’s parents. 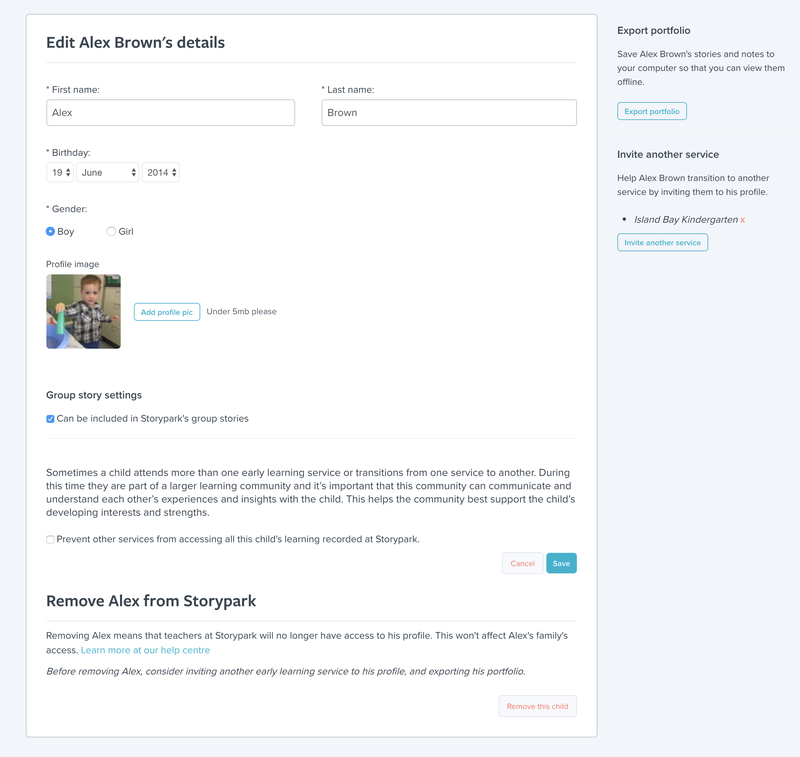 Storypark Families 'Moments' are similar to the stories you receive from your child's teachers, but they are designed specifically for parents to create themselves, to add them to your timeline and choose who to share them with. To create moments, download and sign into the iOS app or the Android app with your Storypark account. Learn more on the Storypark for Families help centre. 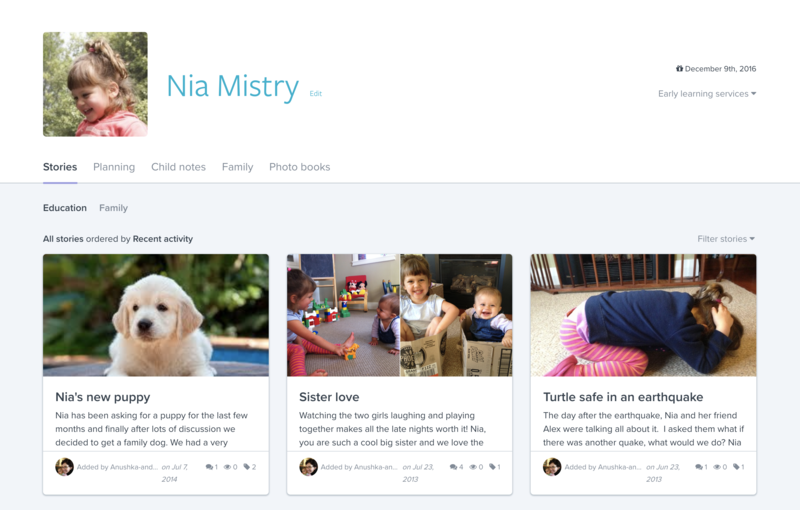 If you have enough stories, you'll see a 'Photo books' tab on your child's profile page and you'll be able to create a hard cover book from your child's photos. Learn more about photo books here.